Our aim is to provide the far north coast community with an exceptional product of locally-bred prime dorper lamb that are raised in a stress-free environment under sustainably organic farming principles. We practice selective breeding to increase our numbers and ensure continual supply to our customers and resellers. We currently sell our lamb at the weekly local farmer’s markets in Ballina, Bangalow, Byron Bay, Lismore, New Brighton, and Yamba. You can also find our meat at 5-star restaurants such as Element of Byron Bay, The Harvest Café at Newrybar, Italian Diner in Bangalow and the Brewery at Byron Bay. 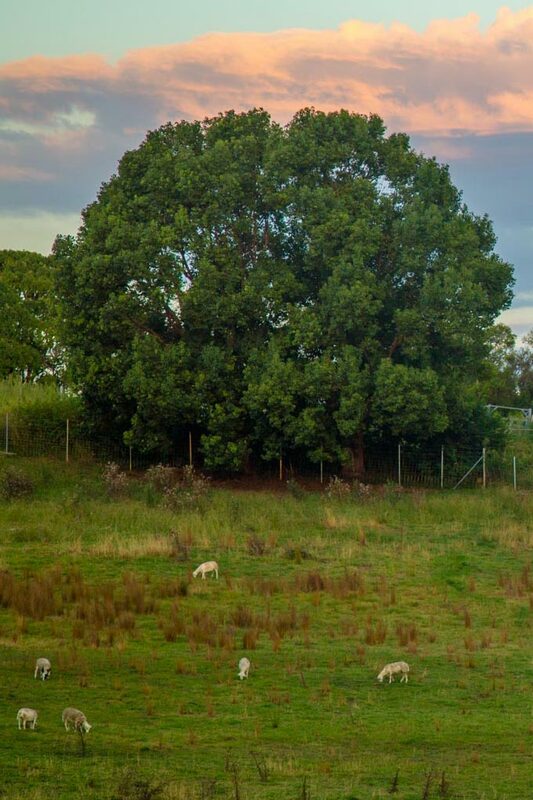 The sheep at Local Dorper Lamb are hormone-free and raised in a stress-free environment using sustainable and organic farming principles. The sheep graze year-round on 80 acres of quality pasture and natural grasses which include cloves, plantain and chicory. The farm practices rotational feeding where paddocks are spelled for 2 months, ensuring premium pasture regeneration and parasite burden minimization. Dorpers are a fast-growing sheep bred specifically for their meat. They are very easy to maintain as they are a self-shedder and have the ability to thrive in harsh conditions. Originally developed to be turned off quickly from arid, extensive grazing conditions in South Africa, Dorpers have the potential to be produced successfully in a wide range of climatic conditions in Australia. Dorpers are characteristically barrel-shaped with short, black or white hair on the head. A short, loose light covering of hair and wool with a natural clean underline. The Dorper sheds its fleece avoiding the need for mustering, shearing, crutching and fly control. They are disease-resistant allowing the animals to live in a stress-free environment. Inherent characteristics of the bred such as rapid growth rate, good muscling and the ability to produce low-fat scores make them a great tasting, premium, lamb. An even distribution of a thin layer of fat compliments the breed. Like goats, Dorpers also have a browser mentality when feeding and are perfect for cleaning up scrub or noxious weeds that traditional breeds of sheep will not eat. 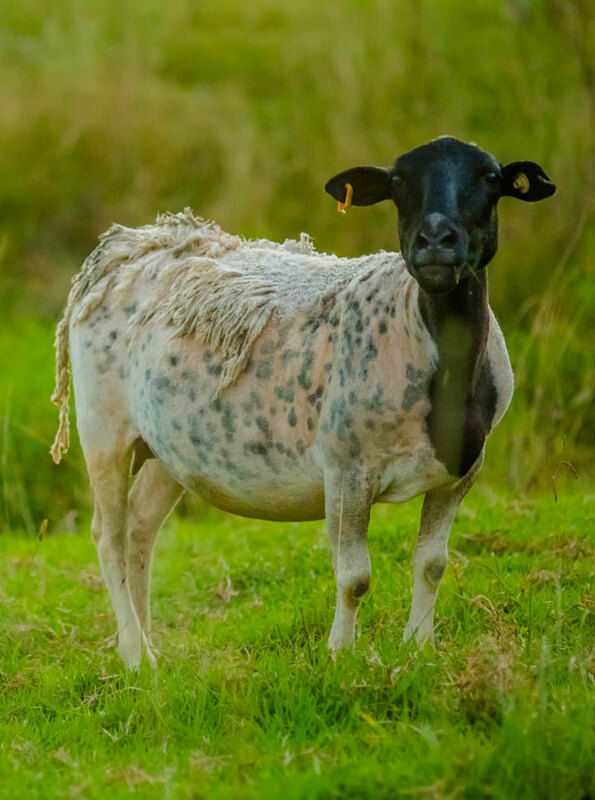 Boorabee Dorper Stud is a recognized member of the Dorper Sheep Society of Australia (DSSA). 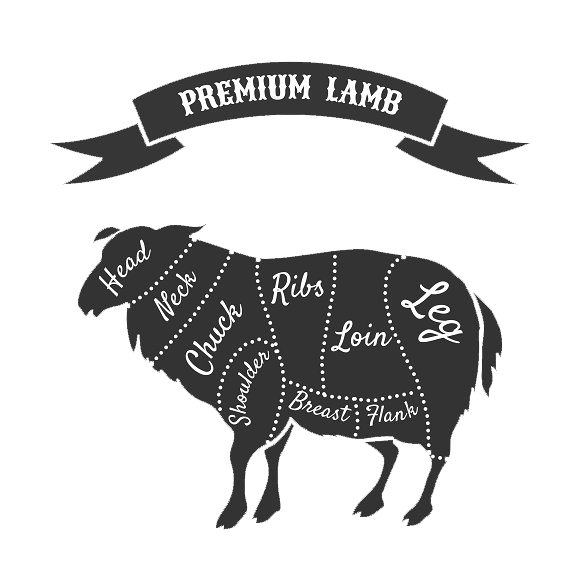 The DSSA ensures that all Prime Dorper Lamb is ethically sourced from MSA accredited producers who have a high regard for animal welfare and that produce quality lamb with a superior yield of carcass and eating quality. The DSSA has inspected and graded our lamb with the highest rating of “Type 5” or a superior, elite animal. We are also 5 STAR Meat Standards Australia accredited which means our farming practices and our sheep have met strict criteria to ensure we meet consumer expectations for eating ‘supreme’ quality attributes of tenderness, juiciness, and flavor. Visit the Dorper Sheep Society of Australia website to learn more. Lambs are transported weekly by the farm and processed by Highchester Meats. We adjust transport times to match favourable weather conditions. For product consistency from our farm to our processors, we minimise stress and reduce the time until slaughter. Dehydration can reduce muscle weight and eye muscle area, therefore, we maintain quality by ensuring our lambs have access to water during yarding and transport periods. Keysies Quality Meats in Lismore package our meat and customize cuts as required. Our meat is freshly packed on trays and have a fridge life of 5 days. After 5 days meat should be frozen. Dorper meat is able to be frozen for up to 2 years and still retain its top qualities. Marinated butterflied legs, Lamb ham, Lamb Bacon and offal are all cryovaced and have a shelf life of 3 weeks. Fresh cuts can be cryovaced if requested.